I wish to thank Bloodhound Books for inviting me to be part of this Blog Tour. It has been a pleasure. Life is good for DI Dan Hellier. He has made several successful drugs’ busts and even the Assistant Chief Constable is smiling. But the discovery of two headless, handless corpses buried in the bog on Dartmoor will test his team to their limits. How are they expected to identify the bodies when nobody has reported them missing? The pressure mounts when the death of a teenager from an overdose of Mephedrone plunges Dan into the murky world of the Garrett family. Could the peaceful, family-run Animal Rescue Centre really be a cover for murder and drug-dealing? Just how far will people go to get what they want? And what links death to the good son? This investigation will challenge Dan’s decisions and beliefs as he races to catch a criminal before another child dies. Well who would have thought that a little old lady with her dog would be over the moon about finding a dead body, in fact who would have thought that a little old lady with her dog would go out purposely hunting for a dead body in the first place? To be fair she was looking for something a little more ancient than what she found and boy was she disappointed bless her. What begins as the discovery off two headless and handless bodies, that have been buried round about 10 years earlier, quickly becomes a mystery to why has no one missed them? This is the first novel that I have read by this author and although it is second in the series I always felt comfortable with the characters, which the author brought me up to speed on when needed, but if you can do read in order. I clicked with D.I. Dan Hellier from the beginning, Met trained but now working in Devon he has a cracking team that can be a little over enthusiastic at times. 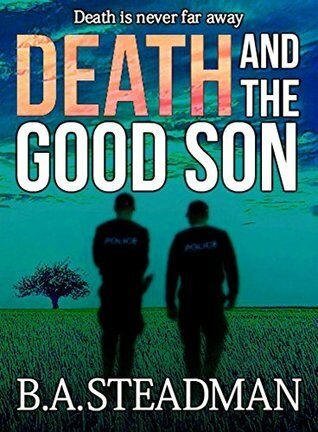 But when a young lad dies from taking a bad batch of drugs and another is left in a coma things heat up in town and the force are stretched to the limit. Stuck a little between a rock and a hard place. B. A. Steadman can certainly tell a story that keeps you engrossed, as you feel the speed of reading becoming quicker with the pace of urgency to stop further bad drugs appearing on the street. I love a book that creates clear pictures in my mind not words but a whole movie playing there, well she does this with her writing, it has crisp and vivid descriptions of the characters and places and even the smells which kick the brain into mimicking them just for that second. It all makes for a very memorable novel. A super end. A brilliantly structured plot that kept me guessing how it would all come together. Loved it! Bernie taught English for many years and completed her debut novel, Death and Deception, when she escaped the classroom and could finally stop marking essays. She lives in Devon with her husband and two marauding cats which do not help her concentration at all. In her spare time, apart from walking and yoga, Bernie is a Trustee for an animal sanctuary in Somerset, a role she finds rewarding, except for the moment when she brought home the cats, at which point she questioned her sanity. In book 2, we learn more about Dan Hellier and his life, and get caught up in a bizarre set of murders involving bodies in the bog on Dartmoor. All in a day’s work for Devon police.